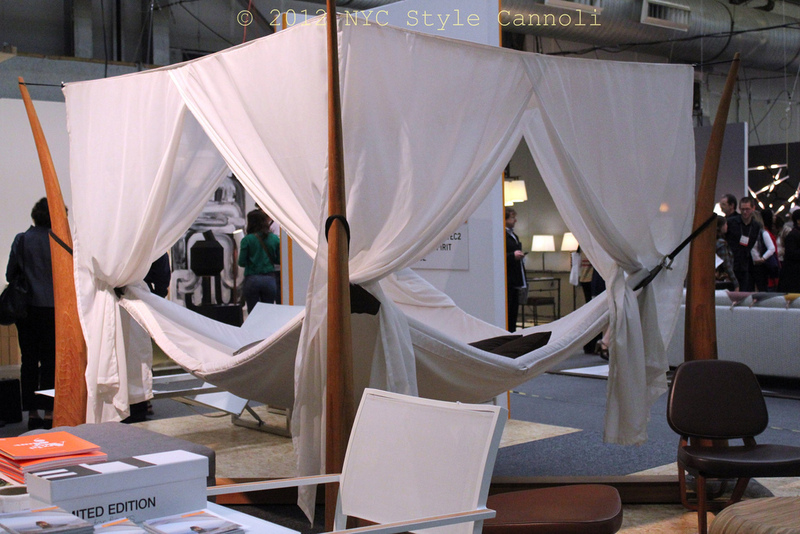 Photo Gallery Tuesday " An Awesome Bed"
This fabulous bed was found at the 2012 Architectural Digest Home Design Show. I think the price was something around $30,000.00 US Dollars. And there was a discount that day. To those who say what would you do if you had money, this is the bed for you! What an amazing luxury this would be. I hope that everyone has a most fabulous Tuesday. ... not to be a nitpicker but anyone with a back problem would likely end up crippled after a night in that 'swing'... nevertheless I am sure they will sell them. Happy Tuesday!! I think this really would be more for leisure like reading in a backyard or such Not sure if you would sleep in it all night But who knows, it may be more comfy than we think, especially with the price.